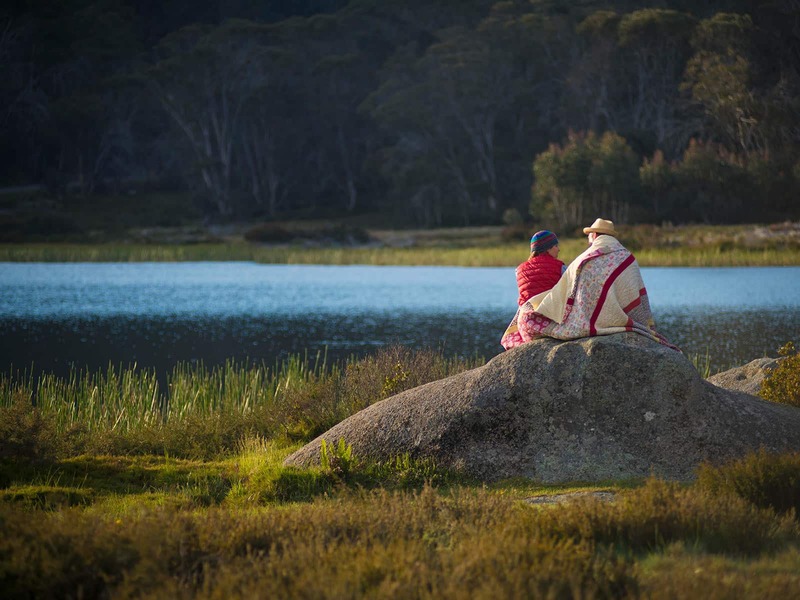 Lake Catani is an idyllic area located on the Mount Buffalo Plateau, surrounded by the iconic alpine ash and snow gum forests. 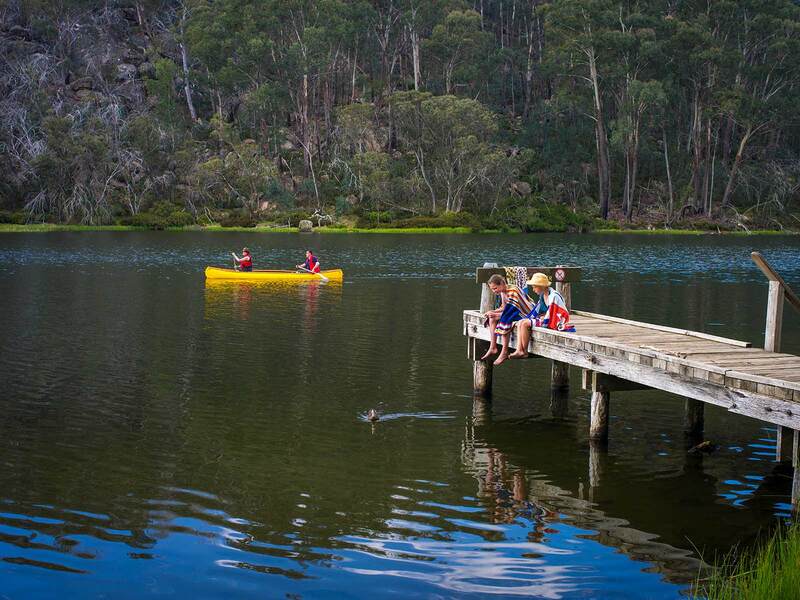 During the warmer months, Lake Catani is a popular destination for day visitors and campers alike. Something for all ages, well marked walks for all levels, abundant wildlife, picnic spots aplenty, views to take your breath away and memories to be made while you whittle away your days in this pristine alpine patch. 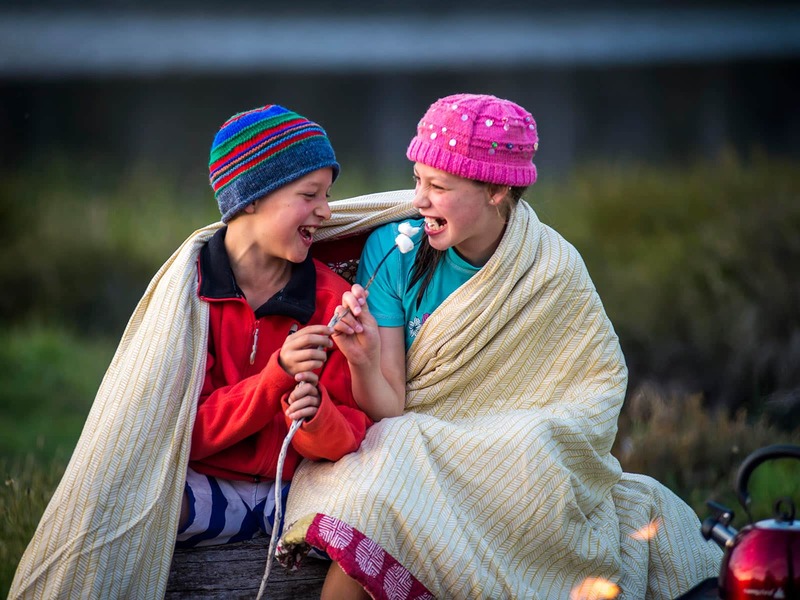 Nestled in and around the banks of the pristine alpine waters of the lake, the small intimate campground is perfectly located for campers to make the most of the water with a possible moonlit dip, a sunrise paddle or a sunset fish at your fingertips. 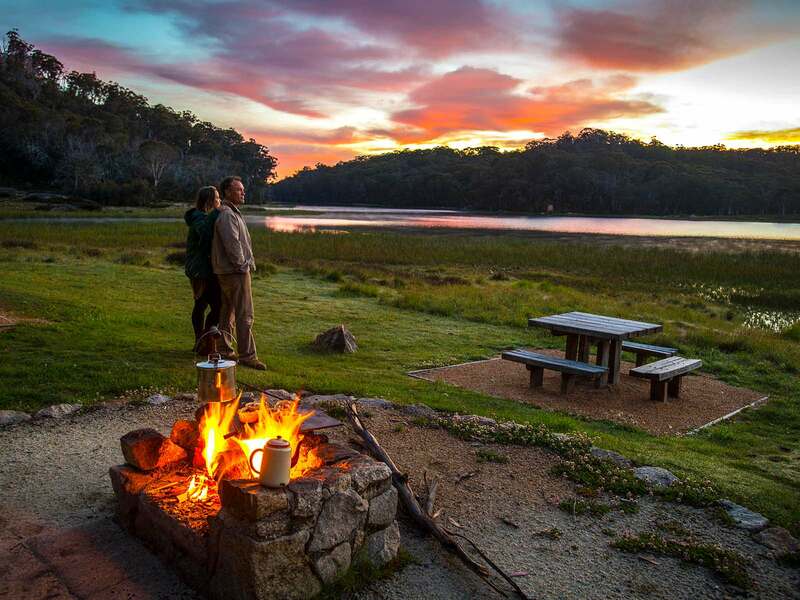 An ideal campsite for both seasoned and inexperienced campers who are eager to spend their days reconnecting with the magnificent natural surrounds. Easily accessed, well serviced (flushing toilets and hot showers) and only 30 minutes from the little valley village of Porepunkah and 40 minutes from Bright where you can pick up more supplies if needed. 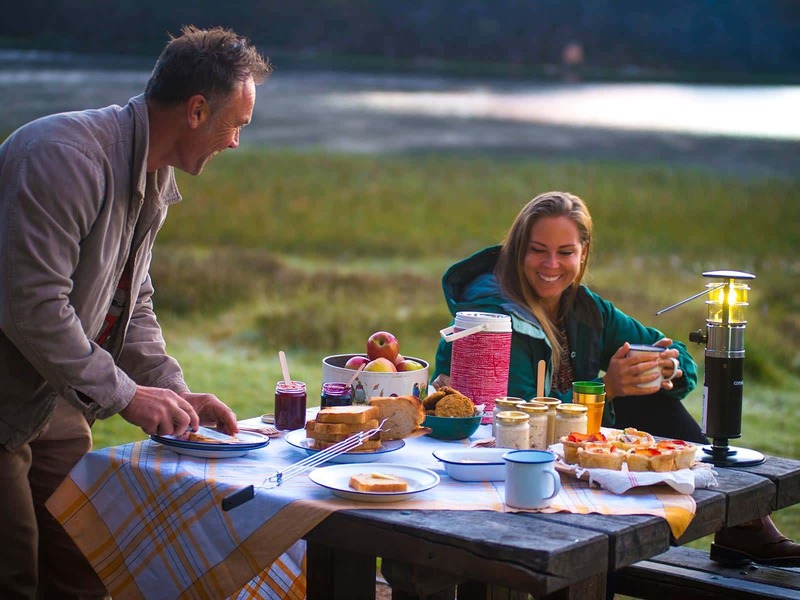 The campground is open from from Melbourne Cup Weekend (beginning of November) to April inclusive, and bookings are absolutely essential. Bookings open at 10:00am on 1 September each year and are based on a first-in, first-served basis. 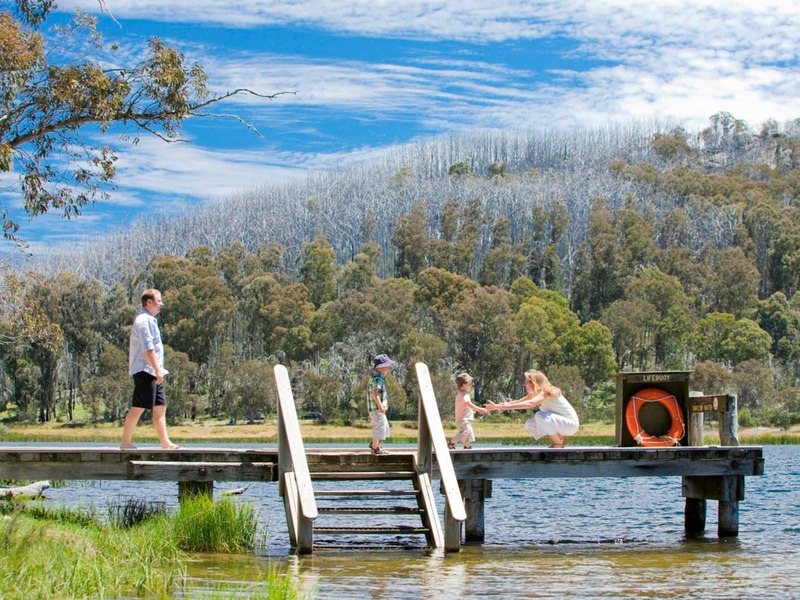 Entry to the Mount Buffalo National Park is free, however fees are applied to camping. 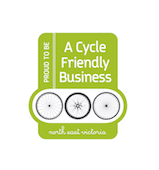 Book online or call Parks Victoria on 13 19 63. The Lakeside Day Visitor Area, located on the lake shore adjacent to the campground, provides the perfect setting to enjoy a cool swim or paddle. Picnic tables are set on the banks of the lake, just the spot to take in a long lunch and soak up the peace and tranquility at the water’s edge. 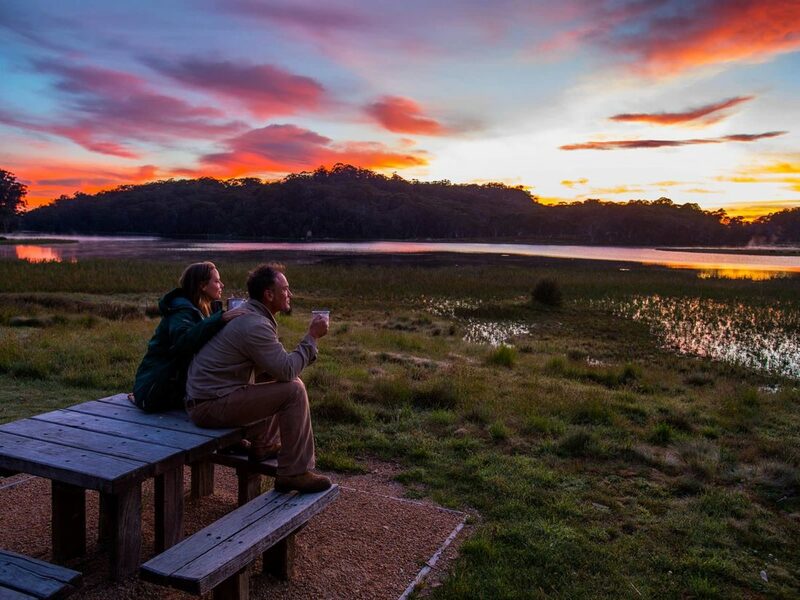 Discover magnificent waterfalls and remote alpine landscapes while you camp within beautiful Snow Gum woodlands at Lake Catani Campground.